The U.S.S. 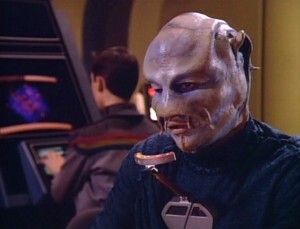 Reliant makes an unexpected discovery on a scientific mission to the Ceti Alpha system: the genetically-engineered superman Khan Noonien Singh and the surviving crew of the S.S. Botany Bay, who has been cooling his heels on the inhospitable fifth planet for the last fifteen years. 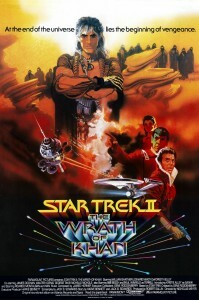 Khan’s somewhat pissed that his old friend James Kirk never called or wrote since marooning them there, so he takes over Reliant and begins plotting his revenge, which mostly revolves around a) inserting gross, brain-controlling slugs into Captain Terrell and Commander Chekov’s ears, b) stealing the Genesis Device, an experimental probe that can terraform a dead planet within days (what could possibly go wrong? ), and b) killing Kirk. A person has to dream big, and galactic overachiever Khan is reaching for the stars.